Home / Pet Ear infection / The Solution For Your Pet Ear Infection. Ear infection also known as Otitis Externa is very common in dogs, it can cause a great deal of discomfort and pain to your dog. It is very important for a pet owner to detect its symptoms and treat it on time before it gets worse. The pet ear consists of 3 parts, outer ear, middle ear and inner ear. The first part outer ear is most prone to the infection and it has been seen that almost 90% of the infections happen to the outer ear. It is the reason most pet owners visit vets. If you notice your dog shaking its head more frequently than usual and scratching its ears, your dog may be suffering from ear infection. 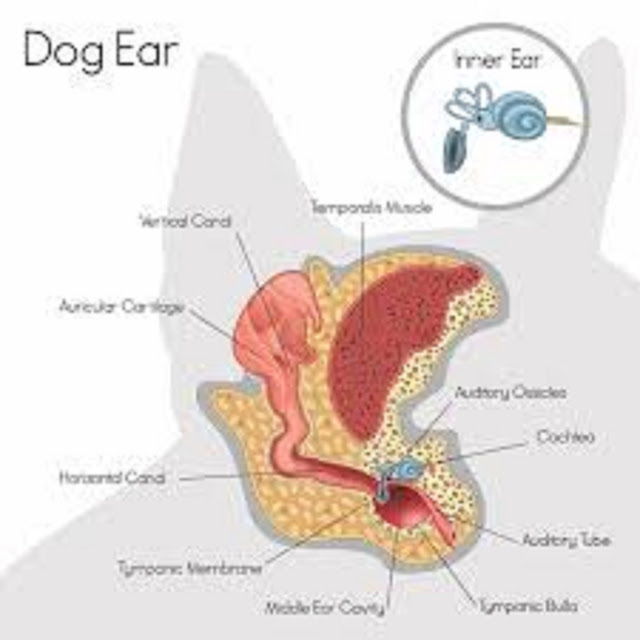 Ear infection is a common problem for dogs because of their design. The vertical and horizontal components of it make it difficult for the foreign particles like water or debris to drain out. For the flop-eared dogs, it is difficult for air to flow inside and it exposes the ear to infection. The ear-infection is caused by bacteria, fungus or parasite. There are various factors that may lead to infection, some of them are Water or hair in the ear, Allergies, the Foreign material in the ear, Trauma, Autoimmune disease, Tumors, General skin disease, Excessive secretion of earwax, Swollen lymph nodes etc. Ear infections can be a real problem and if left untreated can lead to other problems, even deafness. No loving pet owner would wish this on their pet, but many pet owners who are faced with a chronic ear infection in their pet's ear knows that it can be time-consuming, frustrating and a pretty smelly job cleaning out an infected ear and applying for medicine, sometimes 2-3 times per day. The good news is Zymox Otic is made specifically for external ear infections that are caused by bacteria, fungi and yeast infections. These are the most common types of ear infections in dogs and cats. The product uses an all natural solution of three enzymes that have been found to be highly effective on these types of infections. Just applying the solution to the external ear with the infection is all you need to do. The solution mixes with the infectious bacteria in the ear and starts to kill the invading bacteria, yeast, and fungi. Zymox Otic is for the treatment of external ear infections in cats and dogs. It is manufactured by Pet King Brands, which also manufactures other Zymox products for a variety of pet ailments. Click this link to purchase online and for more information about Zymox Otic Pet Ear Treatment. The Solution For Your Pet Ear Infection.